Canada faces mounting pressure to end safe third country agreement with U.S. The Canadian government is facing mounting pressure to suspend its Safe Third Country Agreement with the United States amid concerns over child migrants being detained at the U.S. border but the pact has long been widely panned by refugee law experts and advocates. Efrat Arbel is an associate professor at the University of British Columbia and was lead investigator on a Harvard Law School examination of the agreement in 2013. She believes strongly that Canada should never have signed onto the agreement and should absolutely suspend it now, especially in light of recent policy changes in the United States regarding asylum seekers. "I think that the evidence is clear and has been since the creation of the Safe Third Country Agreement in 2004 that the United States is not a safe country for refugees," she said. "The United States' standards for refugee protection fall short of what the 'safe third' (agreement) requires for designation of a country as safe." The Safe Third Country agreement is based on the core principle that people seeking refugee protection must file their claim in the first safe country they arrive in, unless they qualify for one of a few exceptions. The other core tenet is that Canada considers the United States a safe country for refugees. So, if an asylum seeker comes to Canada at an official border crossing from the United States and tries to claim refugee protection, they will be refused entry and encouraged to make their claim in the United States - the "safe country" from which they just came. The United States has long fallen short on meeting these requirements, Arbel says. A recent ruling by U.S Attorney General Jeff Sessions that domestic and gang violence are no longer grounds for asylum make the argument for suspending the agreement even stronger, she added. "That is a decision that clearly strays from international protection standards and that falls far below what Canada has long recognized in its domestic asylum regime." Nadia Abu-Zahra, associate professor of International Development and Global Studies at the University of Ottawa, also believes Canada was wrong to sign the Safe Third Country agreement, notably after the U.S. government detained and deported Canadian citizen Mahar Arar to Syria in 2002, where he faced almost a year of torture. How can Canada assume the U.S. is safe for refugees from war-torn countries when even a Canadian citizen was deported and tortured, Abu-Zahra asked? "That's the assumption that's being made in this agreement. And that assumption was incorrect in 2002 and that assumption is now very visibly incorrect with babies being taken away from their mothers and children being held in cages." Canada and its welcoming attitude toward refugees has long been its business card for the world, Abu-Zahra said. Canada therefore should be showing leadership in standing up for the rights of refugees being treated like criminals and facing the possibility of being sent back to their home countries - countries they fled due to war, violence and persecution, she added. As for what would happen if the agreement were suspended, Arbel, Abu-Zahra and others say it could lead to a larger number of asylum seekers coming to Canada. But it could also alleviate the problems Canada has been facing with a spike in asylum seekers coming irregularly across the Canada-U.S. border at non-official ports of entry. "At the moment the agreement just pushes asylum seekers towards irregular modes of entry, it increases insecurity and can put their lives and their safety at risk," Arbel said. 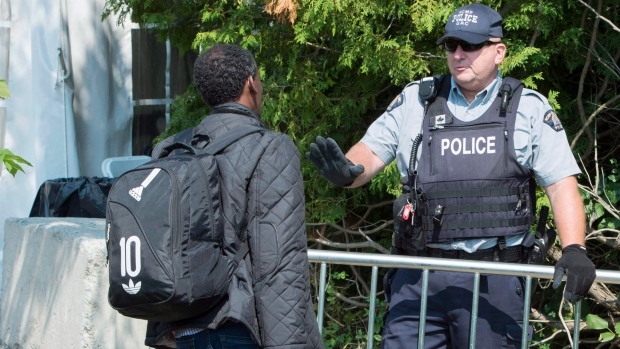 "Allowing asylum seekers to cross at (official) ports of entry is beneficial not just for asylum seekers, but also for Canada. We can more effectively manage the flow of asylum seekers, we can resource our borders more effectively, as we have in the past." If Canada refuses entry to an asylum seeker from the U.S. knowing the U.S. will send them back to their countries where they will face persecution, Canada is complicit, said Janet Dench, executive director of the Canadian Council for Refugees. She too pointed to the recent decision by the Trump administration to disallow domestic and gang violence as grounds for asylum. "I think particularly for this current Canadian government that is proudly positioning itself as a feminist government and protector of women's rights, it is completely incompatible for us to be saying we're going to send women back to the U.S. knowing the U.S. has committed not to defend their rights if they're fleeing gender-based persecution." 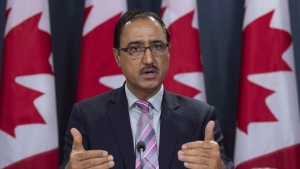 For its part, the Trudeau government has said it will not make rash decisions when it comes to immigration policy or the Safe Third Country Agreement. Prime Minister Justin Trudeau said this week that informal conversations have been ongoing to modernizing and improve the agreement. But he stressed that all asylum seekers - regular or irregular - must go through the proper channels to determine if they qualify for refugee status. "If they do not qualify as asylum seekers, they will be returned to their country of origin. That is the system that we have."